Doomed Youth: soldier poets of the First World War. It is fearfully hard now to fully comprehend the bravery of the men who, with their primitive firearms and lack of protective equipment, fought in the trenches of the First World War. That some of them could write letters home or poetry in the face of constant bombardment simply serves to make them even more heroic. For me, the passion of their unique poetry will be forever linked with their dogged courage in the face of imminent, and unimaginably squalid, death. Of the three poets whose work has most moved me, Wilfred Owen, Rupert Brooke and Siegfried Sassoon, only Siegfried Sassoon survived the Great War, as it has since been termed. His condemnation of the ineptitude of the officers, usually taken from the British upper classes, directing that war, his first hand and furious knowledge of their flawed strategies and their arrogant and profligate wasting of men's lives left him emotionally scarred and eternally embittered. 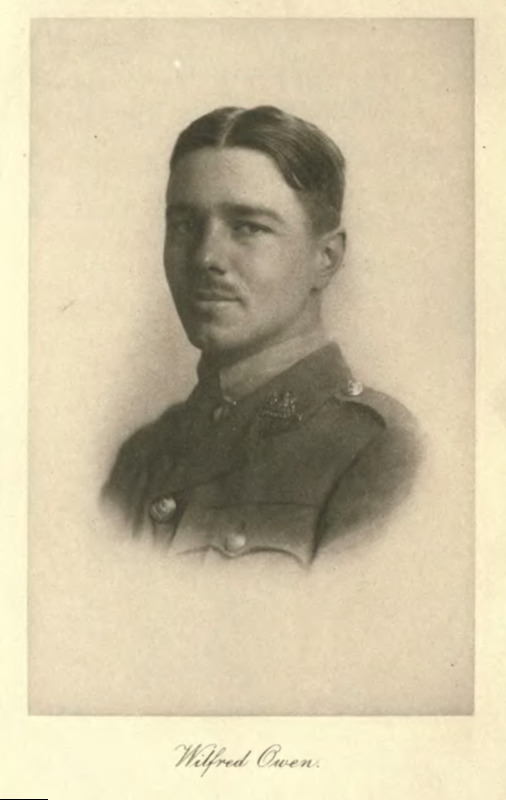 Arguably Wilfred Owen has become the most famous of all the young poets that went fatalistically into the First World War. His 'Anthem for Doomed Youth' was written whilst he was back in England on sick leave recovering from the shell-shock which had resulted from his being lifted into the air by a mortar bomb and dumped amongst what was left of a fellow officer. At that time psychological conditions were still poorly understood and shell-shock was considered merely a lack of moral fibre and therefore shameful and 'unmanly'. 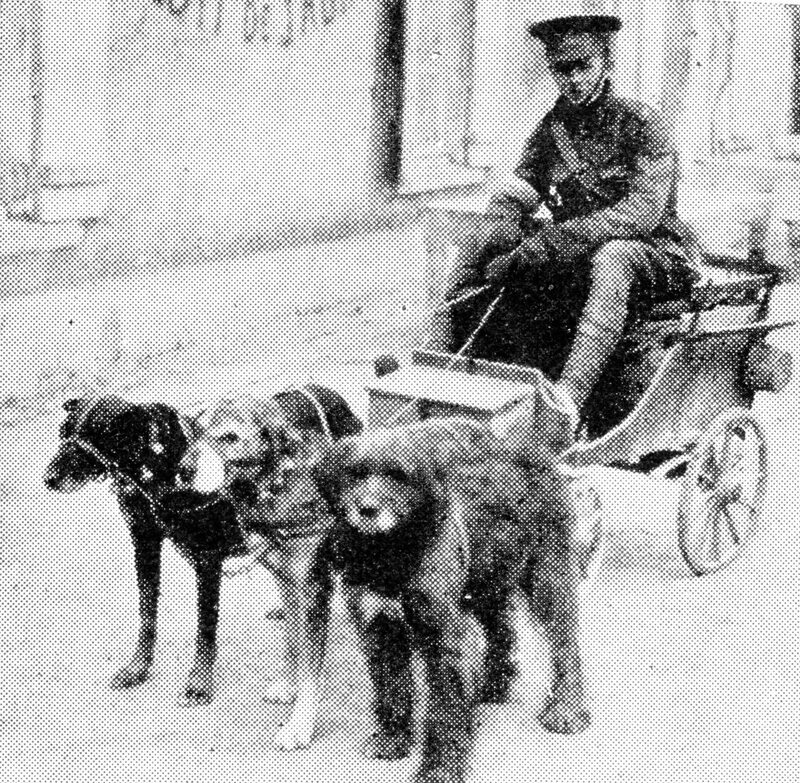 Despite the fact that most soldiers suffering from this condition remained totally unfit for service ever again, Owen stubbornly returned to the Front. 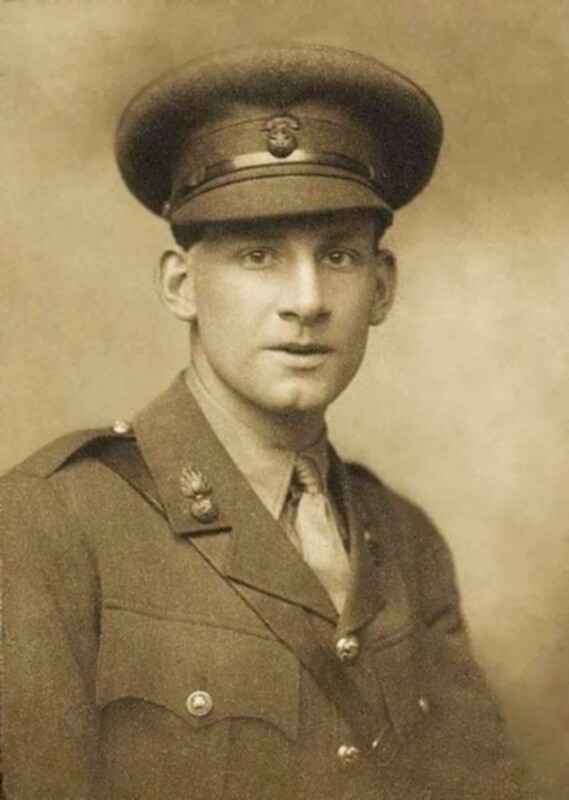 Although his early poetry was somewhat romantic, his experiences in the trenches and, more significantly, his meeting Siegfried Sassoon at the sanatorium as he was recovering from his shell-shock, heralded a change of direction in his writing style. Owen idolised Sassoon and from this time his poems take on a more hard-edged and experiential flavour. They became the most honest form of war reporting at a time when many of the more unpalatable facts were kept hidden and replaced instead by the jingoistic propaganda thought necessary for public morale. Indeed many of Owen's poems were quite shockingly graphic for the time and much of that is considered to be because of Sassoon's insistence on honesty. Owen died only seven days before the war ended in November 1918, winning the Military Cross posthumously for his conspicuous bravery. His timing, so faultless in poetry, was unbearably and poignantly askew in real life and it seems even more tragic that his most powerful poems, such as 'Anthem for Doomed Youth' were only published after his death. Siegfried Sassoon, having became Owen's patron during the war, continued to edit and promote his work after it had ended. 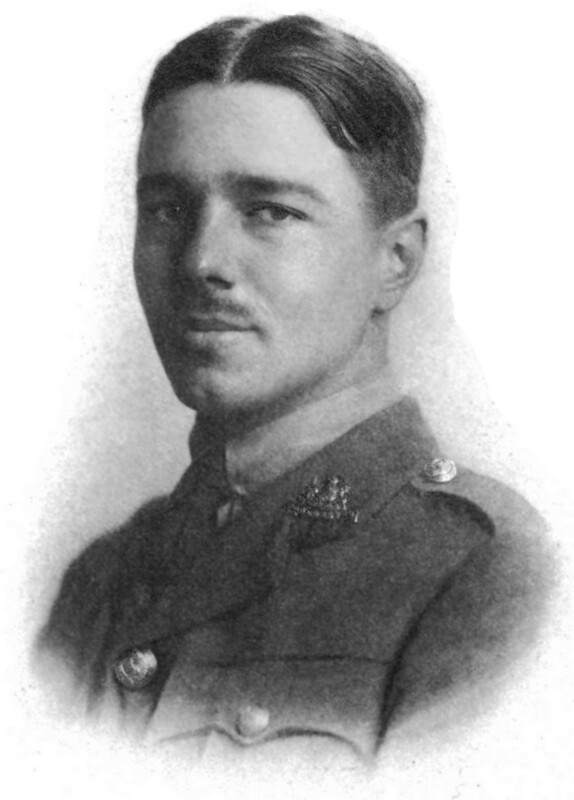 Today, ironically, Wilfred Owen is usually considered to be the better poet of the two. Anthem for Doomed Youth by Wilfred Owen. 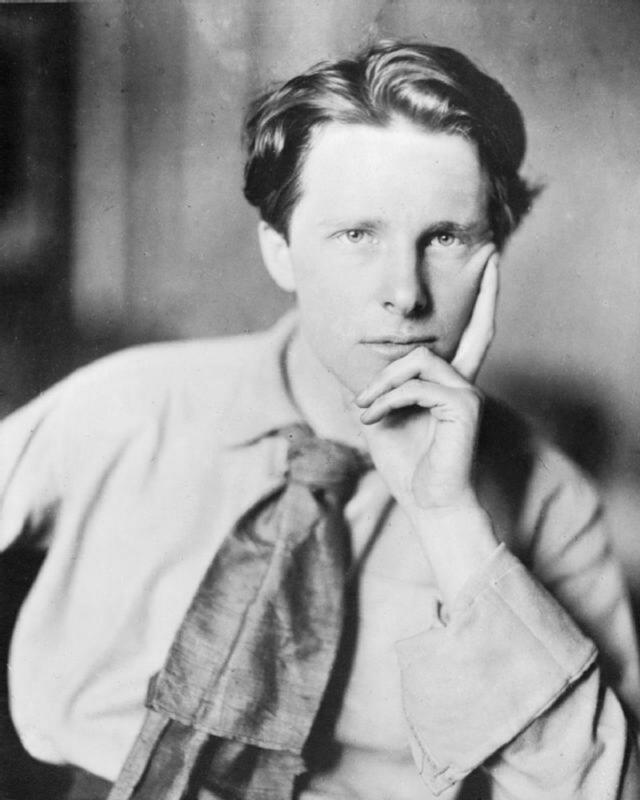 Rupert Brooke: died of sepsis 1915. Rupert Brooke's poetry is quite different from the poetry of Wilfred Owen and Siegfried Sassoon in its idealistic lyricism and often wistful longing for England and its countryside. In Brooke's war poetry there is no gory realism, no painful truth to face, no sharp anger at the monstrous loss of life and this is perhaps because his time as a combatant was very limited. Once dubbed 'the most handsome young man in England', Brooke had had a gilded youth. An intellectual and a friend of many literary giants his confusion at his sexual identity led to emotional instability and breakdown. He diverted himself by travelling a great deal at this time, perhaps seeing it as a possible cure for his dilemma, or maybe just to outrun his demons. and it is a quote written by Wilfred Owen in a 'Preface' to his own poems. For me the poems of Sassoon are both the most stark and the most accessible of all the poetry of the First World War. Despite having been written over ninety years ago they have a modern feel and the scorn and anger felt by this brave and remarkable man for the senseless waste of life that epitomised that war still burns fiercely in them. Like Brooke he went to Cambridge University though he left without a degree. Having a small private income he had no need to work so followed instead the natural inclinations of a gentleman of that period, playing cricket, hunting foxes and dabbling with writing. When war loomed however he immediately enlisted. It would almost seem that the horror of what he saw in the trenches developed a death wish in him. As if expecting to be killed at any moment and wanting to get it over with, he was often insanely, and frequently unnecessarily, brave. His men called him 'Mad Jack' and felt that he brought them luck as he continued to survive despite everything. His exploits won him the Military Cross and his name was put forward for the Victoria Cross. However this award was to elude him, probably because he was something of a loose cannon (no pun intended) to the military authorities prosecuting the war. It is unlikely that he cared about not receiving the Victoria Cross as he even threw the medal ribbon of his Military Cross into the River Mersey in Liverpool. In 1917 his undeniable courage finally led him to openly rebel against what he saw as an extended war of aggression rather than one of national defence. After a period of leave he declined to return to the Front and wrote a letter entitled 'Finished with the War: a Soldier's Declaration' which was read out in Parliament. Sassoon's declaration called into question the motives of the British war leaders, maintaining that they were bent on conquest rather than protection of the nation and to this end they were callously squandering the lives of millions of men unnecessarily. His feelings for the military hierarchy are plainly shown in the poem 'The General' which lays full blame on them for the many bungled attacks that resulted in so many deaths. In answer to this public denouncement by Sassoon the military elite reacted with great cunning. Rather than have a high-profile, and potentially very damaging, court martial they simply declared Sassoon unfit for duty on the grounds of shell-shock and consigned him to Craiglockhart War Hospital in Edinburgh. It was hardly an honest diagnosis but even this was to work against them as Sassoon continued his subversive activities against the way the war was being handled and took to writing poetry about the murderous and wasteful realities of the Front. It was also whilst he was here that he met Wilfred Owen whom he encouraged and mentored to do the same. Eventually Sassoon was returned to the Front only to be shot in the head in a so-called friendly-fire incident. He survived this wound but it was the end of Sassoon's war. For the rest of his life he continued to write and generously support other creative people, becoming a close friend to many of Britain's leading writers, poets, actors and even musicians. In 1985 his name was included on the plaque in Poet's Corner in Westminster Abbey in London which commemorates sixteen of the Great War Poets. The inscription on the plaque was once again the touching words of his friend, Wilfred Owen. And for many of us this is true. Despite the passing of the years we do continue to recognise the sacrifice of these exceptional men and to weep at the pathos and courage of their poetry. I am glad that you have enjoyed reading this Hub and that you have been impressed by the research and love of the subject that Angie has put into it. I agree with you about the sombre note, but it is also very uplifting, especially in the way Angie treated the poems, etc..
i got to know Angie on a personal basis, and discovered that she was such an intelligent and talented person; but also a completely off the wall humour and attitude to life. Unfortunately, I have to report that this very talented lady died at her home in Cornwall in October of 2014, and so her stream of really excellent Hubs and other writings, including a really good novel, have ceased. If you have enjoyed reading the above, you might also get some great pleasure in looking at some of her other writings, apart from those on Hub Pages. A somber hub so worthy of HOTD. Thank you for this. Oh Ian, I am sad to hear that. Thank you for taking the time to share that news. It was only the fact that this hub was highlighted HOD that I found it. I was inspired to actually write a poem about the futility of war after reading this in fact which I called Desolation Row. I will be sure to check Angie's other fine works. I am glad that you have enjoyed reading this Hub and that you have been impressed by the research and love of the subject that Angie has put into it. I agree with you wholeheartedly, and strongly recommend that you look into Angie's other hubs. They are well worth the visit. I have enjoyed reading her works, and as a result, was fortunate enough to know the woman herself, albeit only online and through e-mails et cetera. Unfortunately, this very talented lady died at her home in Cornwall in October of 2014, and so her stream of really excellent Hubs and other writings, including a really good novel, have ceased. She has been an inspiration to me and also a great friend. Thanks for this interesting insight into the poetry of the war. I work on a college campus and every day walk past lightposts that are dedicated to young men and women from our college who died in WWI and WWII. I will remember the poets who sought to chronicle that experience. Wonderful hub. I especially love the poem "Anthem for Doomed Youth" by Wilfred Owen...so dramatic and sadly real. Congrats on HOTD. Angie, this was a real interesting hub about the Great war poets that I didn't know about. Real fascinating to learn about their lives. Congrats on HOTD! Hello m’dear … thank you for your kind and insightful comment. It was not a rant … merely a truthful observation about the misery of war. It really doesn’t matter what war it is, it is all a hateful waste of life and I find as I get older I get more despairing of the stupidity of such conflict and the governments that sign up our youth. I wrote a research paper in college about, primarily, Wilfred Owen but read about those other poets of that time too. I also remember World War II and had six older brothers (no longer living, of course) who were soldiers during that time and also during the Korean War (one a POW in that one). My oldest brother came back from WWII but died soon after. I promised myself I would not rail against war and will only say that the country's leaders, who state that war is the only option when they have not explored other options, should have their sons and daughters on the front lines too! I'm sure they would explore those other choices if that were the case. That was a rant after all. I did intend to tell you only that you wrote a beautiful hub and that people need to be reminded of those courageous young men who suffered so terribly. Thank you, Angie! Hi Tony … many thanks for your comment. I did ‘Memoirs of a Fox Hunting Man’ by Siegfried Sassoon for my GCE ‘O’ level Eng. Lit. back when dinosaurs roamed the land and at first I thought it dull and heavy but for some reason it cast a spell on me. Ever since then I have read as much as I can about Sassoon, who had that attractive quality of being a loose cannon amongst the upper classes. So, what’s not to like about him. As Owen was his friend and he and Rupert Brooke were especially tragic I was drawn to them too sort of by default. 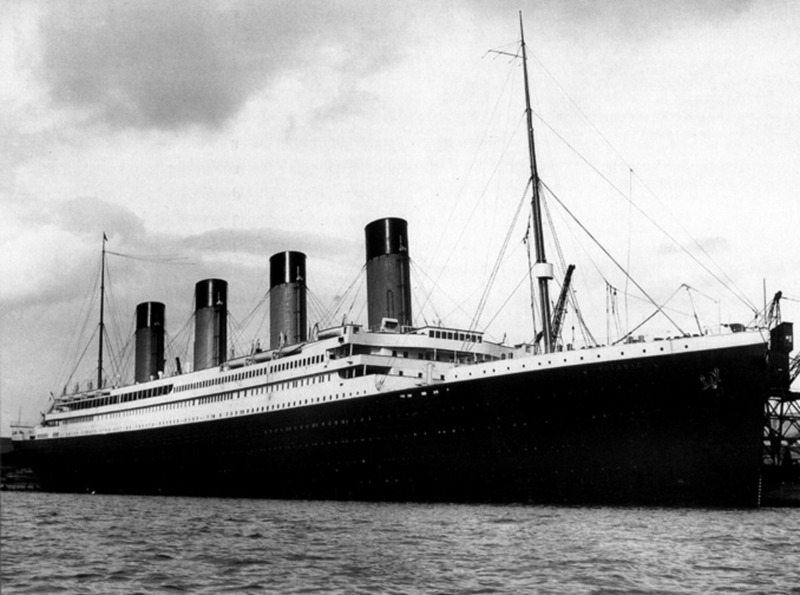 They were such a noble and exceptional generation that walked steadily towards death and knew that they did so. I would like to think the memory of their doomed heroism will never die. I have enjoyed poetry since my schooldays and the poetry of the trenches in particular Sassoon and Owen. It brings back memories of my grandad and his pals who all used to sit outside our greengrocers shop, mostly on upturned boxes and barrels and chat about many things including the war. I can never read any of this poetry without getting the most vivid pictures of what they went through and their blind courage. The men were simply cannon fodder but if you deserted you were shot anyway. What a choice. Very well-written and very interesting piece. I am familiar with Wilfred Owen; his poem, "Dulce et Decorum est" really struck me with its raw emotion and visuals, takes you into the horror of the battlefield. Thank you Theresa ... coming from you that is praise indeed to a history laywoman. I much appreciate your taking the time to comment. Hi Natashalh ... I only picked the WW1 poets who had the most impact on me and strangely, as I rarely care for poetry usually finding it too obscure and often extremely self-indulgent, I can relate so easily to the poetry of these remarkable men. Perhaps it is some sort of past life stuff that keeps coming to the surface but that era has always resonated with me deeply and every now and again I am reminded of that tragic time. Thank you for taking the time to comment and vote. Bless you! I have always enjoyed Owen. I actually chose to use his poetry in a project way back in about the 8th grade. I haven't heard anyone but me mention him in, oh, about ten years, so this was a nice page to come across. I was not familier with Sassoon, though, so thanks. Voted interesting and up. I remember that well, it is one of those immortal (ed: immoral?) phrases ... good old Mandy. While giving evidence at the trial of Stephen Ward, charged with living off the immoral earnings of Christine Keeler and Mandy Rice-Davies, the latter made a famous riposte. My friend ‘steve of ian fame’ has been known to quote it at me several times in a conversation. Angie, this piece was so very interesting and giving of a writer's history, especially relating to the effects of war. It was well written and you really did a fine job in articulating your points on each life that you essentially have lifted up to our attention. Thumbs up, definitely keep writing. Thank you. Hi jandee ... it was a grand gesture. wasn't it? I think he was quite a dramatic man, for the times, not as stiff in the upper lip as one might expect. Bless him! There was so much to say about them though, I felt I didn't do them justice. Lettice, as usual, sends you much love ... but then, she would. Angie, you have provided just one more bit of evidence concerning your amazing capabilities as a writer. This was a fascinating, useful, beautiful and stunningly well created hub. I wouldn't want to, but even if one wished, it would be impossible to fault the standard of this impressive bit of writing. Thank you. It should be required reading for anybody studying this period of history or its literature. And thank you very much for telling me, htodd! Jandee, that is an appalling statistic!! I always wonder how people recover from such terrible things. Perhaps our grandparents generation had a more fatalistic mindset than we have now ... I do not doubt they were far more stoic. Today we honour every individual soldier who is killed and are far more shocked by their deaths even though joining the military is their choice and they know the dangers. In the old days they were either conscripted when war threatened or were whipped up into patriotic fervour so that they volunteered en masse. Angie,thanks for reply I would add that my Mothers 3 younger brothers were aged 17,18,19 all killed(state murder)in their first week there. I wonder if it is any different today ? I agree with you, UnnamedHarald but it was a product of its times, I suppose. There was a definite demarkation between the describers of the true horrors of war (Owen et al) and the stirrers of patriotism and vengeance. One is reminded of Rudyard Kipling's banging on about the glory of war - he being a WW1 recruiter ... until he lost his son. So, in my humble opinion, it belongs to the recruiters of war as another reason to carry on the fight. Don't get me wrong, this poem must also be remembered because it, too, is expressing a truth and I don't think many will disagree it is hauntigly beautiful. I just wish it had ended differently. It's Sunday morning and I'm still sitting in bed replying to all the wonderful comments you have sent me. Life does not get much better than this! @jandee - yes, I know. Despite my hating the thought of fox-hunting, we have to remember that this was such an unfeeling era. And it would seem the generals in WW1 seemed to think the men just as expendable as foxes. Thank you both for your comment and the appreciation of my love of Cornwall. It is indeed heavenly to be here as Spring is starting. @Bill Yovino - hi, BIll ... thank you for your kind comment. It means a lot to see that 'Brava'! @sabrani44 -' In Flanders Field' is indeed a wonderful poem. I had a hard time choosing but in the end I did choose three of the most well-known. They are popular for a reason ... they move a greater number of people. I wonder why poets were more prolific in WW1 than WW2? Although 'High Flight' by John Magee is my favourite from WW2. @WOL - hello, dearheart - thank you for stopping by and leaving such a delicate and sensitive comment. Bless! @anndavis25 - thank you. People are often moved to write at times of intense stress - I know I am. But even so, writing beautifully before you 'go over the top' into gunfire can only come from exceptional men. @shea duane - being a lot older than you, shea, I must admit I find it easier to access the poetry of this era. To me, it is perhaps the most important poetry ever written, written under the most extreme duress as it was. Many thanks for taking the time to leave me a comment. @UnnamedHarald - I cannot bear to think that the generals may escape their well-deserved vilification. At worst they were callous about the appalling loss of life, at best they were ignorant about the changing face of modern warfare. What is for certain was their utter stupidity in sending men (at walking pace!) over the top towards barbed wire in the face of machine guns. And to do this repeatedly ... they just did not learn and were barren of new ideas. Thank you so much for your kind comment and the vote. @Emma Larkins - I agree, we should never forget their sacrifice, but one day it will be forgotten and then only the poetry will remain. A sad thought ... Bless you for taking the time to comment. In-depth and touching. Thank you so much for writing about a topic that none of us should ever forget. 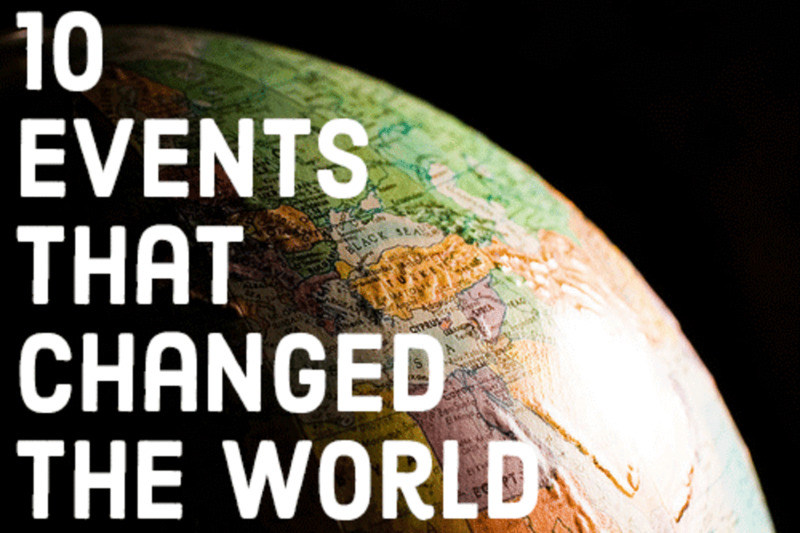 These poets (and others) need to be remembered. I've detected a recent tendency by some academics to play down the horrors of the Great War and repair the reputations of its generals. The poets and writings of ordinary soldiers must not be forgotten. Voted up and beautiful. Although I've studied poetry, I know little about this era in poetry. Thank you for writing this. My, what an interesting hub. So well done. It seems among the most depressing times, a poet will be inspired to write and leave us a bit of beauty expressed in words. Beautifully written. Beautifully presented. Thankyou, Angie. Can't say more - just going to sit still for a time, and reflect. Great hub. 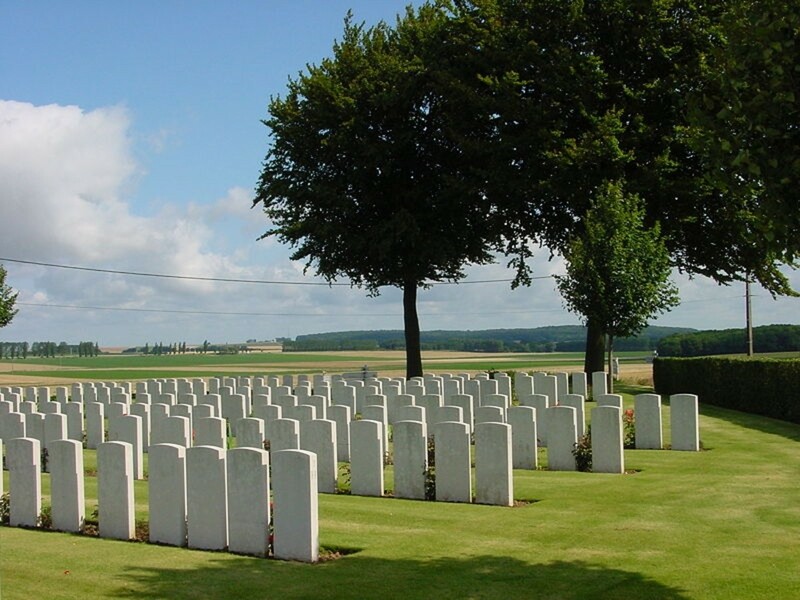 Its unimaginable, all the pain and loss they must have suffered through the course of the war and after. Another great poem is the famous "In Flanders Fields" written by John McCrae. Beautifully done and very moving. Brava! Siegfried and the foxes! 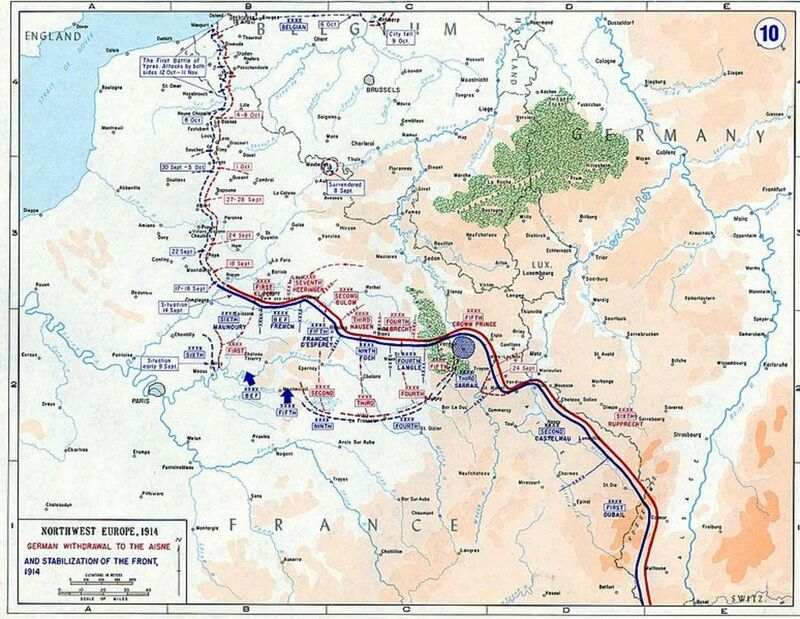 then the trenches! Oh dear! Thanks for the vote and the great comment, Jools ... I must admit that I first got interested in Siegfried Sassoon when I did 'Memoirs of a fox-hunting man' for O level Eng. Lit. a very long time ago. Since then I have been periodically haunted by him and his fellow poets ... most recently when I watched 'Bird Song' by Sebastian Falkes on TV. Angie, enjoyed this really interesting hub. I had to study WWI in the first year of my degree when I had to do a module on war cenotaphs. I read all of the poets mentioned here and I also had to study the war artist, Stanley Spencer (he'd make a good subject for a hub, he was a very interesting man). My favourite war poet is Wilfred Owen. Voted up. @KrystalID - I am not usually good with poetry so I think what attracted me was the juxtaposition between the hideous death on offer and the beauty of the language they used in their poetry. Thank you so much for your kind comment. @mbyL - Thank for your vote up etc. Choosing this topic was really a no-brainer for me as I have long been interested in most aspects about the First World War and in particular the especial heroism shown by these sensitive men. Very interesting hub! It is well-researched and structured and the topic you chose was actually a very interesting one! Voted Up and Interesting and Shared! This is an incredible hub! I love poery and I had not heard of everyone mentioned here. I am always amazed at the beauty that comes from hard times. Amazing. Your research and organization are impressive. Thanks! Hi Judi ... me too! Thank you so much for the votes. I am really useless with poetry, but the poets of WW1 were the first to make their mark on me. I remember reading "Dulce et Decorum Est" at school and could still remember the words when I read it recently with a GCSE class a month or so ago. We also read Anthem for Doomed Youth and they were fascinated. Still can't read the lines from "For the Fallen" without getting a bit tearful.